During a major hurricane such as Irma, NYRRT is availble to provide mutual aid and/or command and control for search and rescue operations; logistical support; emergency power & lighting, extra manpower for road/debris clearing, radio communications, first aid and medical support. “We’re making plans to deploy resources and personnel to the areas that could get hit the hardest, this looks like it will include the South Miami area,” said Shelomo Alfassa, the NYRRT public information officer. Last night as NYRRT was preparing their equipment, they were assisted by Harold “Heshy” Tischler, candidate for the New York City Council. Tischler, a professional public advocate who assists his fellow citizens that are unfamiliar with how to navigate the city’s administrative bureaucracy, is seeking the NYC 44th Council District seat. This District comprises the neighborhoods of Midwood, Borough Park, and Bensonhurst, Brooklyn. 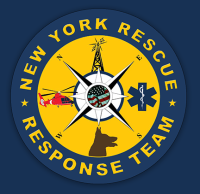 New York Rescue Response Team provides New York City and surrounding communities with search and rescue services. NYRRT, a volunteer organization, has been providing quality emergency services to New York City and its residents for near a decade. Visit www.nyrrt.org for more information.